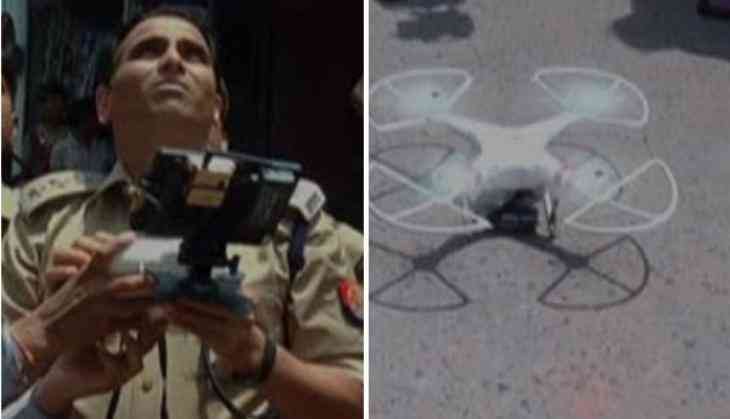 With the recent incidents of clashes and stone pelting taking a toll on the administration, the Aligarh police have decided to use drones for the surveillance of sensitive areas around the city. The drones will not only help in keeping the crowd under control, it would also keep an eye on the roofs of the house where miscreants keep stones and bricks to create trouble. Yesterday, people from two communities came to blows and pelted stones at each other in Uttar Pradesh's Aligarh district. The clash started with a minor accident late on Wednesday night after which people from both sides clashed and pelted stones at each other in Ladia locality. The locality is considered 'hyper sensitive' communally and as the news of the clashes reached the district officials, police reinforcements were sent and the situation brought under control. District officials pacified the angry mob and asked them to return to their homes.